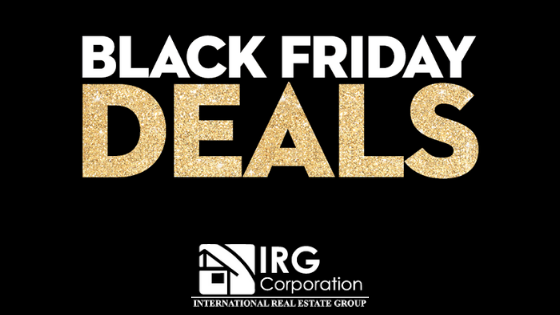 Probably you have ever wondered if there is a black Friday for the real estate and you have imagined a good amount of offers for those buyers who are looking for round businesses where you do not spend too much money but you can find a property good enough to create a home or make some kind of investment. It can be really surprising for anyone who is not so close to the real estate environment to find some kind of deal in the middle of vacations where it is presumable that most of them are aware of what they are going to do or where they are going and what they are going to do. unless you think about selling a house due to the process involved. If you are looking for a property right now, it may be the right time to start reviewing the market, because for these dates many sellers make rebates of up to 5% less than the average values ​​for once and for all. Achieve sell the houses and get a certain amount of money they can use for personal matters. These dates are not just about buying items such as cell phones, televisions or appliances; If you manage to do an adequate investigation and move through the indicated sites you can easily find the point where a smart seller is waiting for the right buyer to arrive and the deal starts. It is always advisable to get professional help for this type of case because although you can find what you are looking for, not everything seems what it is and here at IRG Corporation we offer you all the help you need to find the ideal home for you. you in the area that you choose at the best possible price since these vacations in which it seems that there is no movement in the market can become the best black Friday of your life. Novelist, story writer, poet, art critic, art teacher and Irish playwright.